Keeping your roof in pristine condition is a good way to avoid major problems, including leaks and pest infestations. If you enjoy working on your own home, you may feel tempted to start a DIY roof replacement. Before you grab your ladder, however, think carefully about what DIY roofing requires and whether it may be outside of your skill level. When it comes to most roof work, hiring a professional may be the best option. Some homeowners may underestimate the difficulty involved in roof replacement. If you not entirely comfortable with heights or climbing up and down a ladder all day, roofing projects are probably not for you. Roofing company installers are accustomed to rigorous roof work and already possess the safety equipment needed to avoid falls and other potentially fatal accidents. Buying your own materials may seem like the cheaper option at first. However, unless you have experience with other DIY projects, it’s easy to underestimate the quantity of materials that you need. You may end up making numerous trips to the local hardware store, adding more and more to your final cost. Even worse, you may end up purchasing large quantities of the wrong materials. Hiring a professional roofing company takes the guesswork out of the costs of materials; professional roofers have years of experience with measuring and getting the right amount of materials, and they won’t accidentally bring the wrong supplies to the job. In addition, a roofing contractor will have access to a number of specialized supplies and can often purchase supplies at contractor rates. If your roof needs to be replaced, consider whether you have the time to invest on a big project. Reroofing is not something that you can slowly work on the weekends; timing is everything and you need a roof that is in good shape at all times. The long the project takes, the more opportunity for leaks or critters to find a way into your home. Since we all know that “life happens”, if an emergency pops up and prevents you from working on the project, then there will only be further delays The benefit of hiring a professional roofing contractor is that they show up with a team of installers to get your roof done while you’re at work during the day. Due to the growth of DIY videos on the Internet, it’s easy for weekend warriors to watch one video and think they can tackle a roof project. No two roofs are the same, however; unless you have some DIY roofing experience, you may underestimate the problem with your roof and potentially cause it to become an even bigger situation. Many times there are additional issues below the roofing materials which also need to be addressed. But if you’re not familiar with those scenarios, then you won’t be identify them. While working on your own roof may seem appealing, it’s important to realize that roof work is not as easy as replacing a light bulb. Some jobs are just too big for a DIY weekend project, especially for something as important as your home’s roof. Hiring a professional team can take the worry and stress out of the situation. At Mid Florida Roofing, we can offer the experience and skill that you need to get your job done. Call us today at 407-830-8554 or fill out our online free estimate form. 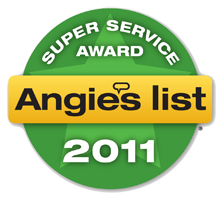 We will contact you for a free 10-point home inspection to help you determine whether your need to replace your roof. This entry was posted in Roofing Company. Bookmark the permalink.